In a bowl, sift flour, and mix with sugar, baking powder and salt. Add butter, milk and egg. Stir until the flour is moistened. It is ok if the flour has lumps in it. 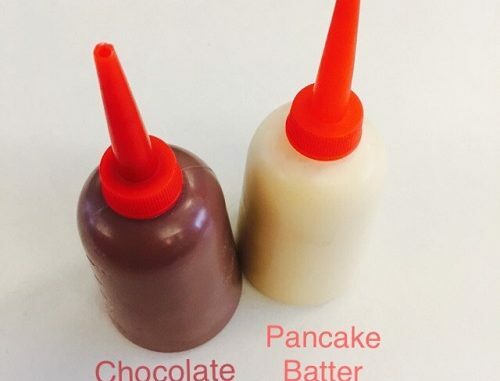 I like to pour the batter mixture into bottles with a nozzle so the kids can make their own pancakes by squeezing the batter out from the nozzle. Heat up a pan and brush it lightly with oil. 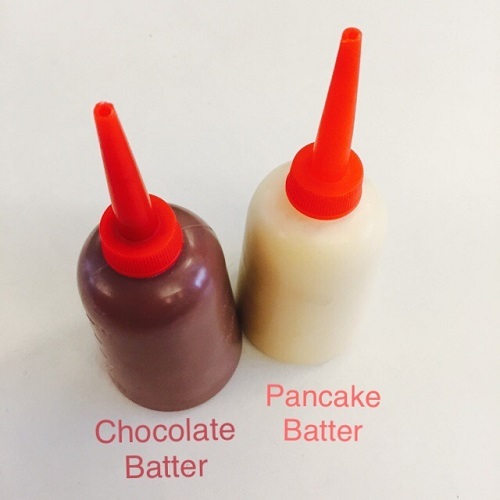 Pour batter, depending on the size you want. You may make a few pancakes at a time. Cook until the bubbles at the top burst and the edges becomes dry. You may cook it till brown so that it turns a bit crispy at the side. Transfer to plate and keep warm.